On July 20, 1969, Americans Neil Armstrong and Buzz Aldrin became the first people to land on the Moon, but this was not the only notable event to occur in the 1960s. 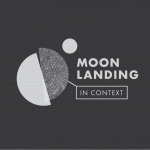 This is a collection of stories from people who remember where they were and what they were doing in July 1969 as part of our larger project to put the Moon Landing in its historical and cultural context. Frank White speaks about his Moon Landing story for the Moon Landing in Context Project at Framingham State University. Topics include living abroad in the 1960s, the Apollo missions, Earthrise, the Vietnam War, astronauts, and the Overview Effect. Dr. Linda Vaden-Goad shares her Moon Landing story for the Moon Landing in Context Project at Framingham State University. Dr. Vaden-Goad speaks about how living in Houston, Texas and watching the Moon Landing impacted her life.